USADA announced today that Royce Dates of Nashville, Tenn., an athlete in the sport of track and field, has accepted a four-year sanction for his anti-doping rule violations while a member of the Thinking Feet Track Club (the Club). In 2016, USADA obtained non-analytical evidence that Dates, 25, used and possessed a dietary supplement, which clearly indicated that it contained ostarine, beginning in approximately July 2015. Ostarine is a non-Specified Substance in the class of Anabolic Agents and is prohibited at all times under the USADA Protocol for Olympic and Paralympic Movement Testing, the United States Olympic Committee National Anti-Doping Policies, and the International Association of Athletics Federations Anti-Doping Rules, all of which have adopted the World Anti-Doping Code (the Code) and the World Anti-Doping Agency Prohibited List. In addition to possessing and using ostarine, Dates is being sanctioned for tampering, administration, and complicity under Articles 2.5, 2.8, and 2.9 of the Code resulting from evidence that he facilitated and encouraged the use of ostarine by at least one other athlete on the Club and attempted to cover up anti-doping rule violations by providing false statements to USADA during its investigation. Dates is the ninth individual affiliated with the Thinking Feet Track Club to accept a sanction. Dates’s four-year period of ineligibility began on November 8, 2017, the date he admitted his anti-doping rule violations. 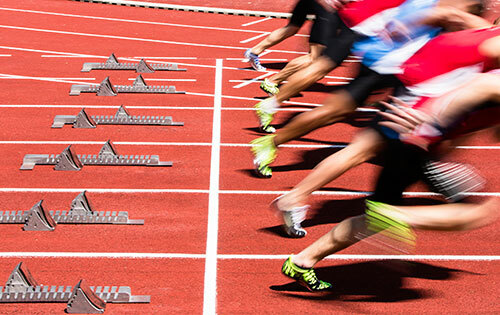 In addition, Dates has been disqualified from all competitive results obtained on and subsequent to July 1, 2015, the approximate date he first ordered a prohibited substance, including forfeiture of any medals, points and prizes.